Gareth Onyango went exclusively nuclear on Dr. Jose Chameleone and his music. It's almost clear to every music lover that the legendary Chameleone isn't as good as he used to be -- which doesn't imply he can't release good music -- but his 'friend' Gareth Onyango couldn't stomach his disappointment at the singer's apparent lack of relevance in the music industry today. The Club Venom manager took to a WhatsApp group named 'FLAMES' saying Chameleone is cursed -- while making fun of the 37-year-old singer suggesting that whoever cursed him is watching and smiling from up Mabirizi rooftop. 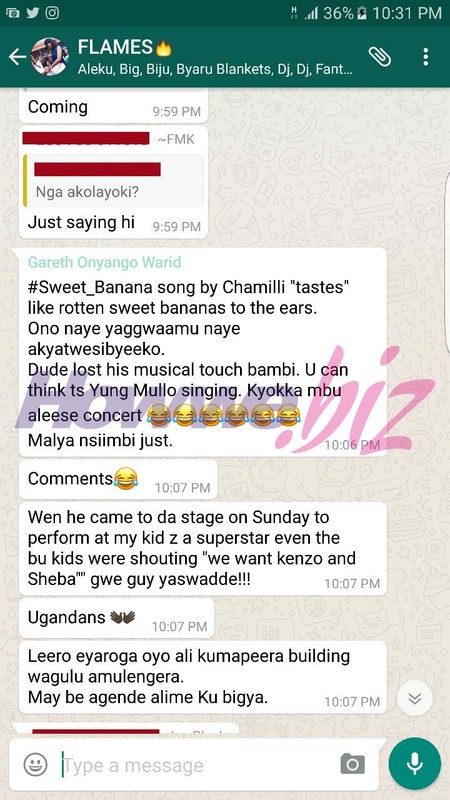 Onyango also claims that Chameleone was very ashamed while performing on Sunday at 'My Kid is A Superstar' after kids started screaming Eddy Kenzo and Sheebah's names instead. Clearly, Chameleone is not going to let this one slide. We'll keep you posted in case of any developments on this story.